Celebrating the Fading Glory of Autumn. Perfect for your late Autumn photos. Or any Autumn photos! 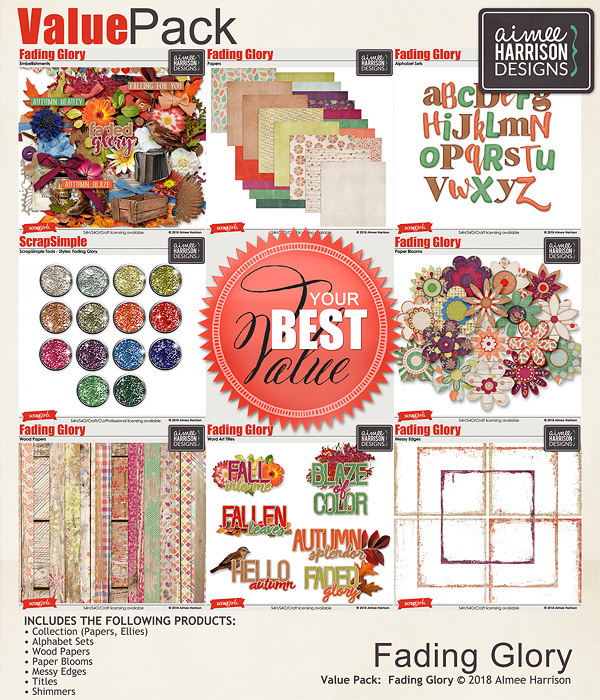 Fading Glory Collection by Aimee Harrison is PU/S2H/S4O friendly. Fading Glory Alpha Sets by Aimee Harrison are PU/S2H/S4O friendly. 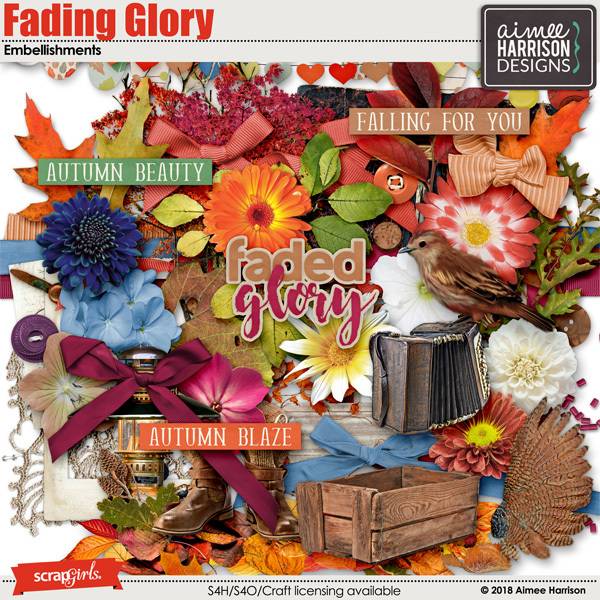 Fading Glory Blooms by Aimee Harrison are PU/S2H/S4O friendly. Fading Glory Titles by Aimee Harrison are PU/S4O/S4H friendly. Fading Glory Wood Papers by Aimee Harrison are PU/S2H/S4O friendly. Fading Glory Messy Edges by Aimee Harrison are PU/S4O/S4H friendly. 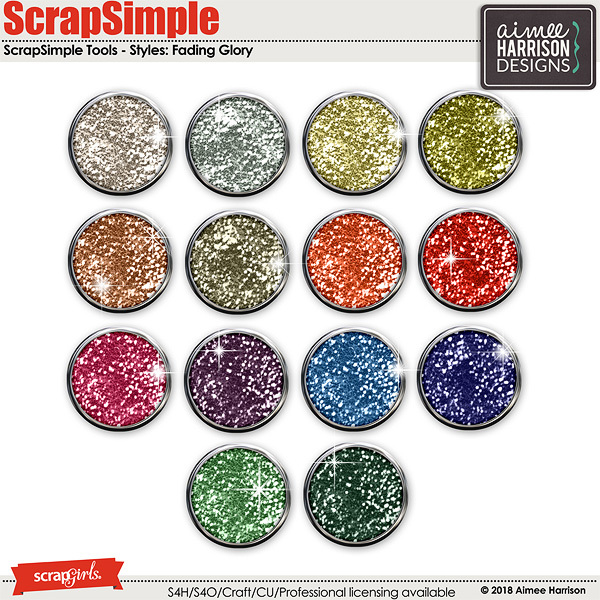 Fading Glory Shimmers by Aimee Harrison are CU4U/CU/PU/S2H/S4O friendly. Shape Up #2 Templates by Aimee Harrison are PU/S4H/S4O/CU. Singular #2 Templates by Aimee Harrison are PU/S4H/S4O/CU. Patterns A Plenty #3 Templates by Aimee Harrison are PU/S4H/S4O/CU. Pocketful #2 Templates by Aimee Harrison are PU/S4H/S4O/CU.